Welcome to the Freeola Support pages. 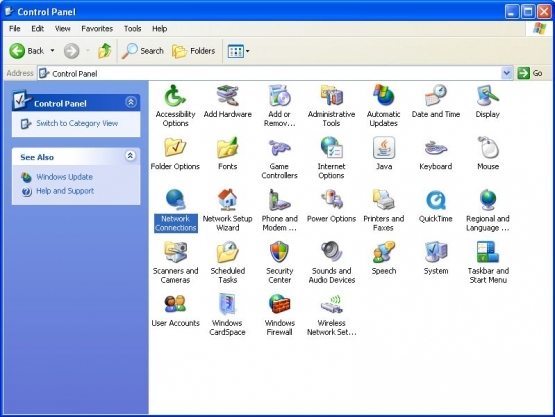 This guide is designed to take you though the basic steps for changing your DNS server settings within Windows XP. For more internet help topics please visit our main Support Page. Firstly select Start and select Control Panel. 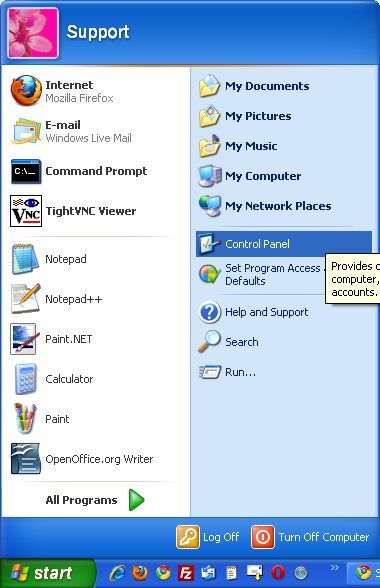 This will take you to the Windows Control Panel where you are given access to many of configuration options within Windows XP. 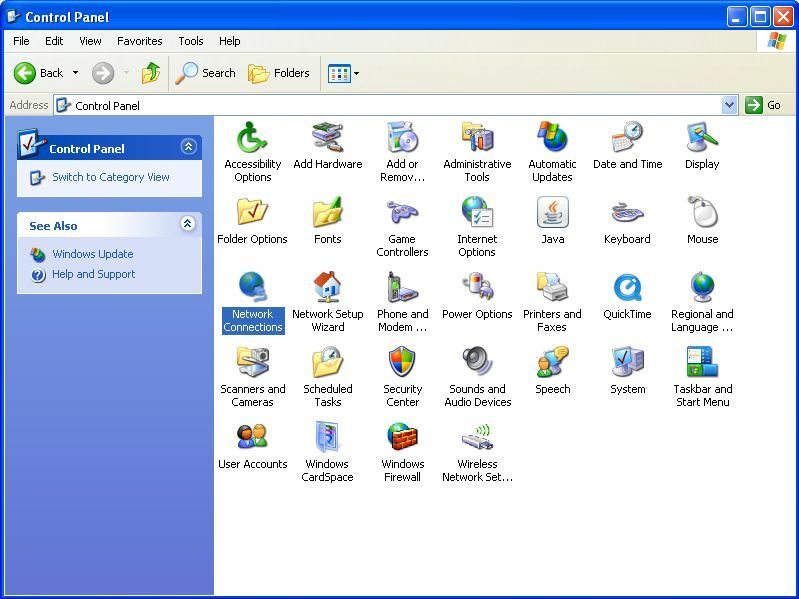 If you are taken to the Control Panel with the heading Pick a category, you will need to select Switch to Classic View from the left hand menu. Alternatively if you do not see the Pick a category heading, you are likely already in classic view. When you are in classic view, you will need to double click on Network Connections. Within Network Connections you will need to Right Click on your Primary Connection and select Properties. 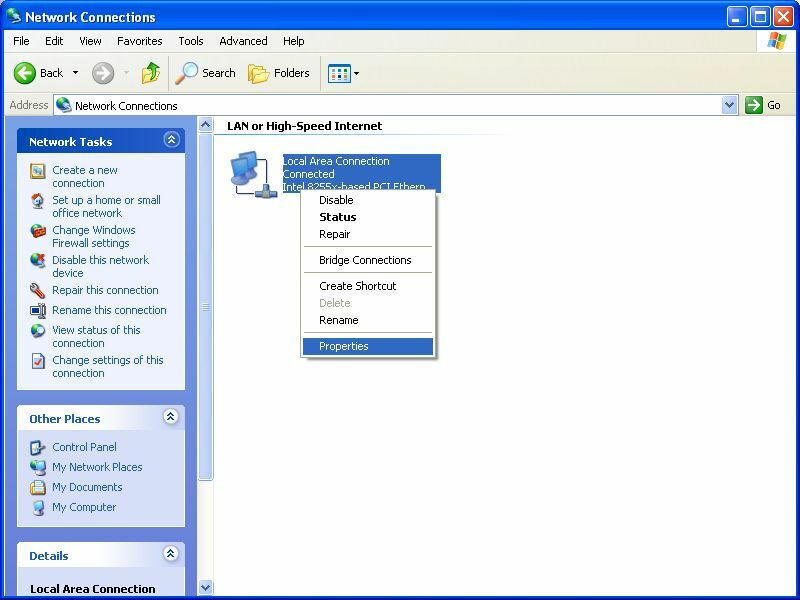 This will be labelled Local Area Connection if your computer connects to your router using a cable, alternatively if you connect using a wireless connection to your router, this will usually be listed as Wireless Connection along with the name of your wireless adapter. 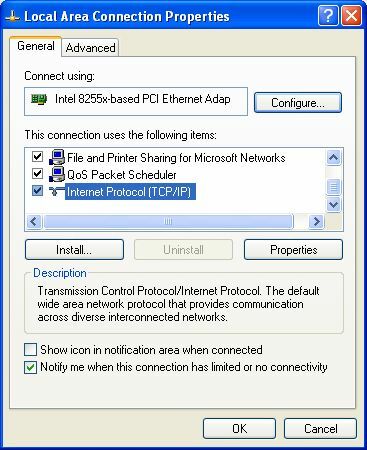 Within your connection properties, you should see a list entitled This connection uses the following items, from this list you should double click on Internet Protocol (TCP/IP), you may need to scroll down in the list to access this. 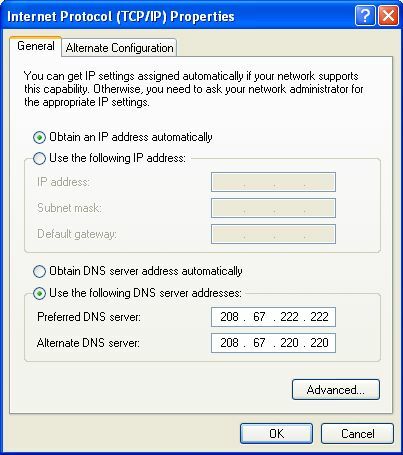 Toward the bottom half of the dialogue that shows you should select Use the following DNS server addresses and Enter your DNS servers into the boxes provided. For OpenDNS these are 208.67.222.222 and 208.67.220.220. Alternatively if you are not using OpenDNS, Freeola's DNS servers are 195.74.113.58 and 195.74.113.62. If you then select OK, these changes should take effect immediately. In order to ensure your new DNS settings are working correctly, you should attempt to bring up a web page, for example http://freeola.com.